Tires, like any other rubber product, have a limited service life regardless of tread depth and use. Milk, has a born on date. So does orange juice. Sell before (this date), do not use after (this date). Over the counter drugs, aspirin, peptol bismol, just about everything we buy as consumers, has a born on date. You even know when your car was built. It’s a 2002 Mazda, a ‘67 chevy. What about your tires? Do you know when they were built? Do you know how long they are supposed to last? Do you know when they expire? Do we just go by a visual inspection and look at the depth of the tread? Tires, like any other rubber product, have a limited service life regardless of tread depth and use. As tires age, their physical and chemical properties degrade reducing their margin of safety. Whether a tire is old and unsafe cannot be detected by the naked eye. Tires undergo an aging process even when the are not in use. The rubber loses its elasticity, the steel webbing corrodes and the rubber hardens. A tire that has been in storage for years will look brand new and is extremely dangerous. And in spite of all this, the tire industry has done little if nothing to warn us about the risks of old tires. Some experts take the position that a tire is unsafe after 4 years whether it was used or not, others say 6 years, but the tire industry will not make such a statement a former Michelin tire engineer advocated “sell by” or expiration dates back in the 1980’s, but historically the industry has ignored such requests. There are a lot of old tires that are being sold as new, and these tires are dangerous. The tread comes apart, causing a loss of control of the vehicle and in many instances a rollover with catastrophic injuries. My firm specializes in suing tire manufacturers for tire aging problems, for defective tires resulting in tread separations and both design and manufacturing defects. I regularly use the best tire experts and best accident reconstruction experts in the world. Our Law Offices provide aggressive, competent and reliable representation, so if you or a loved one has been injured or suffered a fatality as a result of a defective tire please call or e mail me for a free consultation. Defective Tire Claims, Tread Separations. Since the late 1990’s there has been a proliferation of product liability lawsuits against tire manufacturers in general, such as Cooper Tire and Rubber Co., Continental General Tire, Goodyear, Uniroyal-Goodrich and Michelin. 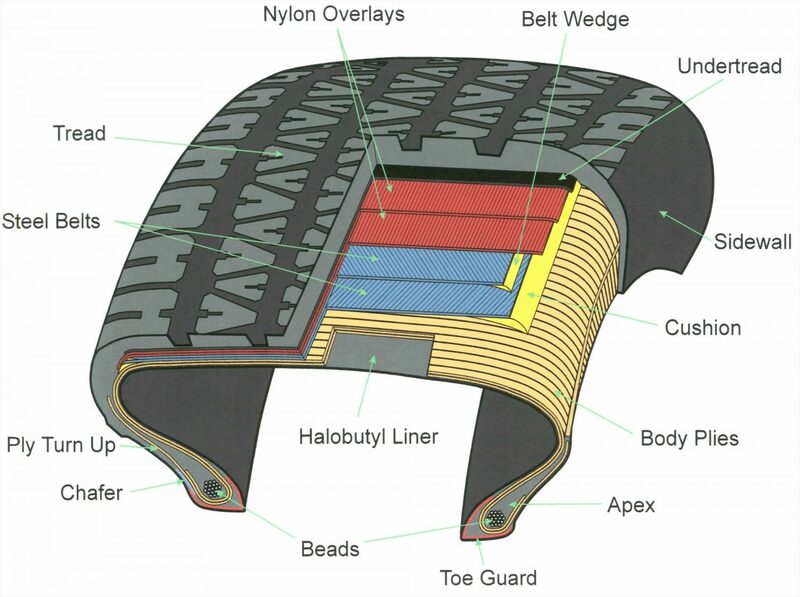 The tire defects alleged include tread separations, blowouts, debeading, zipper failures, mismatched tires, etc. We are the only California attorney who participated in the deposition of Firestone’s CEO in the tire defect case of 2000. View the settlement Gary Eto won against Firestone. On August 9, 2000, Bridgestone Firestone announced the recall of 6.5 million of its ATX brand tires which were original equipment on Ford Explorers -this was the second largest tire recall in U.S. history, but well before the highly publicized recall, I filed one the first lawsuits in California against Ford and Firestone for these defective tires and subsequent Ford Explorer rollover problems. As a result of this lawsuit and my experience in suing tire manufacturers, I’m published on the subject of tread separations and the infamous recall. Firestone Tire Recall & Ford Explorer Rollovers. The recent rash of tread separations resulting in the national recall of Firestone tires produced hundreds of product liability and defective tire lawsuits against Bridgestone / Firestone and Ford Motor Company. These recalled Firestone tires that came as original equipment on the Ford Explorer (which often rolled over as a result of the tread separation) are examples of claims of a defect – in these cases, both the tire and the vehicle were claimed to be defective. 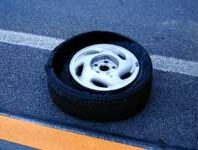 Because the tire is a component of the vehicle itself, plaintiffs claimed that the entire vehicle, as a system, is defective. (Even one of Ford’s experts agreed that the Ford Explorer with Firestone tires was a defect) Further, because the Ford Explorer SUV itself was claimed to have a high center of gravity and historic instability problems, plaintiffs also contend that the Ford Explorer itself is defective. The claims of defect in the Explorer include model years 1991-1994, which had the Twin I-Beam suspension, which dangerously raised the SUV’s center of gravity in turning motions and in accident avoidance maneuvers (a concept referred to as “jacking”) and subsequent model years,1995 -2001, when Ford replaced the Twin I Beam suspension with the SLA (“short/long arm”) suspension which was 200 pounds lighter, and failed to lower the engine – a dangerous subsequent design which also resulted in a raised center of gravity and also produced the rollover effect in the Explorer.